Every holiday is an opportunity to get creative. It also gives us the chance to create some new DIY crafts for you! 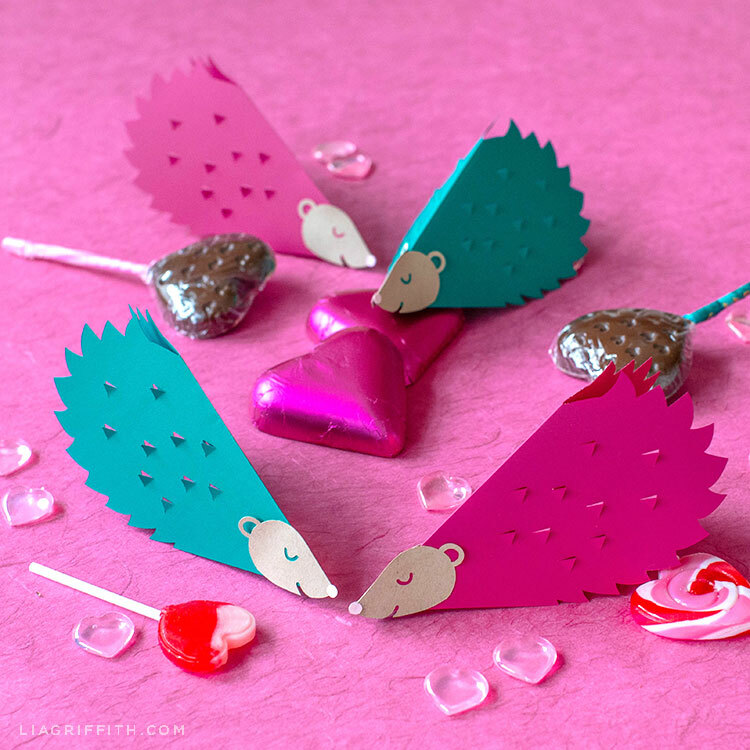 These papercut hedgehog valentines are so cute and simple to make, especially with a cutting machine. If you don’t have a cutting machine, you can use our PDF template below. 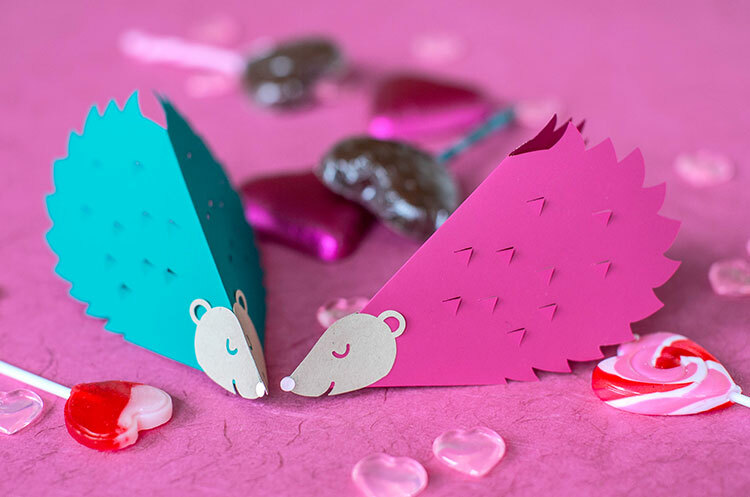 We came up with idea for these papercut hedgehog valentines after looking at a paper heart and wondering what we could turn it into. An adorable little animal seemed like the way to go, especially since we love to create cute animal designs. 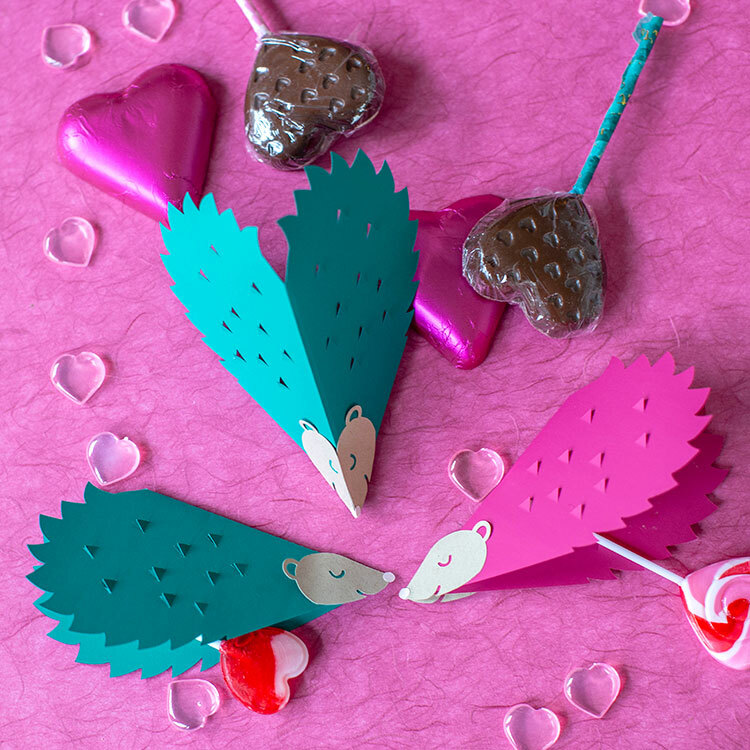 While this craft is perfect for kids who are passing out valentines to their classroom, we also think it would be fun for adults to craft these for their coworkers or friends. If you or your kids like these bright colors, you can use our pre-colored pattern in the template below. Or you can use our blank pattern if you want to use different colors. 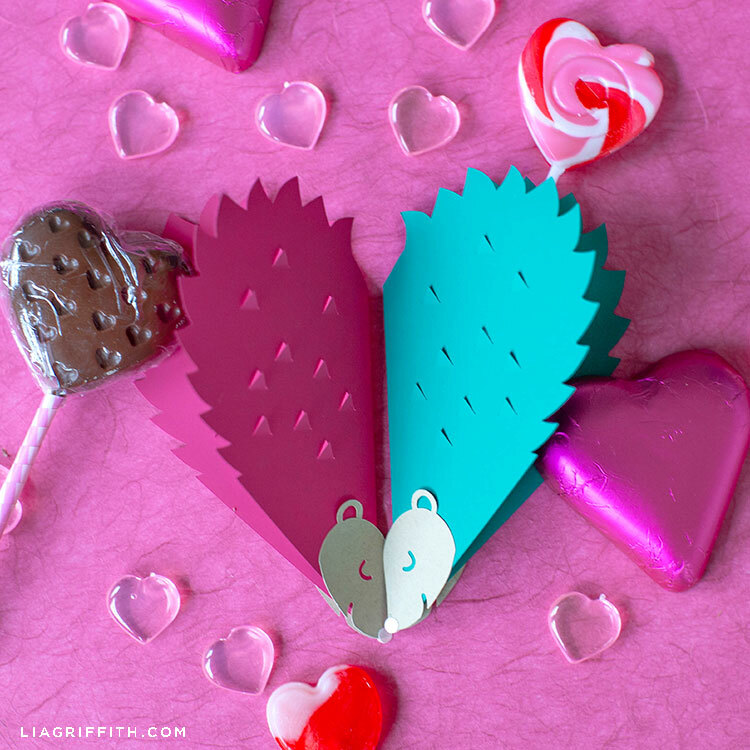 However you craft these valentines, we guarantee the people getting them are going to love them (especially if you add some candy to the inside!). Cut the hedgehog pattern (at the end of this post) on a cutting machine or by hand. 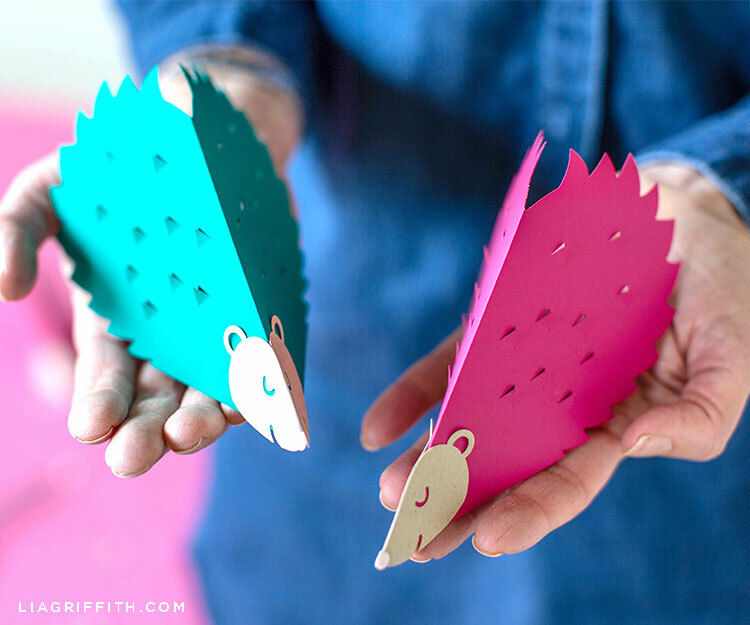 Fold back each triangle shape within the hedgehog body to create spikes. Glue nose to face; then glue the head on to the end of the hedgehog body. Add a lollipop, secure with tape, and give to your friends! Adorable! Can’t wait to make a batch.